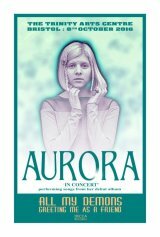 IMAGES OF AURORA THE SINGER : AURORA AKSNES : UNOFFICIAL POSTER 1. 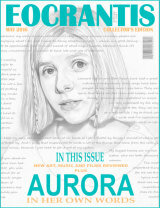 AURORA DRAWING AS A FEATURE PAGE IN A MAGAZINE. 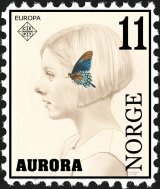 MY DRAWING OF AURORA IN THE GUISE OF A NORWEGIAN STAMP. MY DRAWING OF AURORA IN THE GUISE OF AN ART CARD. 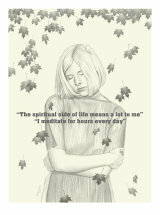 This gallery is devoted to various images I have created that relate to one of my favourite recording artists, viz the Norwegian singer / songwriter : Aurora. 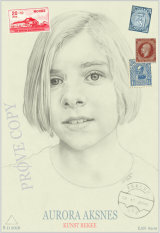 The drawings etc ( plus others not yet featured here ) have now been gathered together and printed up as a small non commercial booklet and sent over to Norway - in the hope that the booklet will eventually reach Aurora herself. 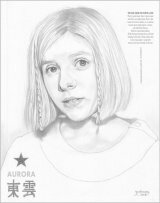 I have made no request for a response, since the booklet was sent purely as a GIFT for Aurora, and it thus seemed somewhat inappropriate to ask for an acknowledgement. 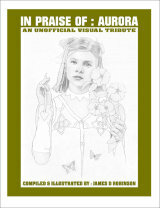 In any event, and for the benefit of those who may find it of some interest, the cover design of the booklet has now been added to this gallery, and will be found ( with further details ) if you scroll down the page. 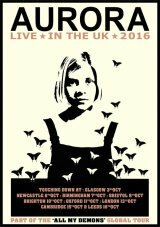 Other singer / songwriters I greatly admire include : Norway's MARIT LARSEN -The Swedish duo FIRST AID KIT ( viz : KLARA & JOHANNA SODERBERG ) - Scotland's AMY MacDONALD - the Canadian GORDON LIGHTFOOT - Scotland's GERRY RAFFERTY, and NEIL FINN of New Zealand, all of whom, to my mind, deserve the highest praise for their work.